Gordon Fraley, the project manager of Waterfront Station, gave a progress report at Monday's SWNA meeting. Currently, the 3rd floor is being poured at the site and the two office buildings should be topped off by February/March of 2009. By next August, the facades will be up at the Shalom Baranes-designed buildings. 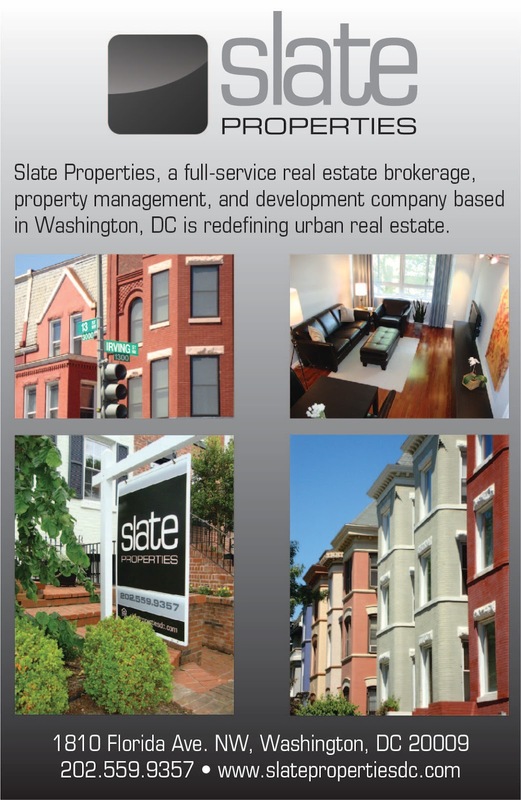 Both of the buildings will have a terracotta facade, similar to Monument Realty's office building under construction at Half Street - another Shalom Baranes-designed project near Nationals Park. Since the transfer of the 4th & I Street park to the DC Government from NPS occurred a couple weeks ago, the development team can reconnect 4th Street from I Street to M Street. 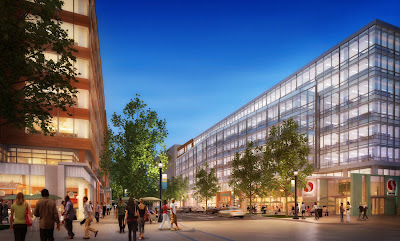 The reconstructed portion of 4th Street will reopen before March 1, 2010, since the street must be reopened before DCRA and the DC Office of Tax & Revenue move into their new office space at Waterfront Station. By May 2010, the new Safeway should be open. This is a rendering of the new SW Safeway, courtesy of Vornado. Here's the exterior of the MVT Safeway. 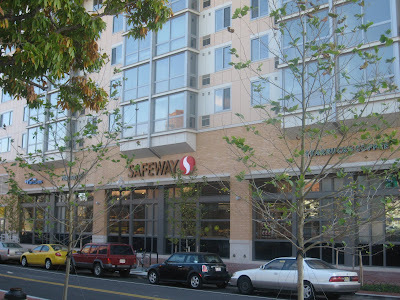 The new SW Safeway may include a Starbucks and a dry cleaners, similar to the MVT Safeway. The SW Safeway Starbucks would be the 5th Starbucks to open in Southwest during the past few years. The other four Starbucks stores are at Capital Gallery (600 Maryland Avenue), The Portals (1201 Maryland Avenue), the Holiday Inn (550 C Street), and the Small Business Administration building at Federal Center SW (409 3rd Street). It would be the first SW store to locate south of the SE-SW Freeway.